John Cragg, proprietor of the Mersey Iron Foundry, settled here in the early nineteenth century and built a group of five houses and the church. These buildings are of considerable interest for their extensive use of cast iron. The architect for the church, Thomas Rickman, had met Cragg in 1812, and between them they developed the use of cast iron for church design. 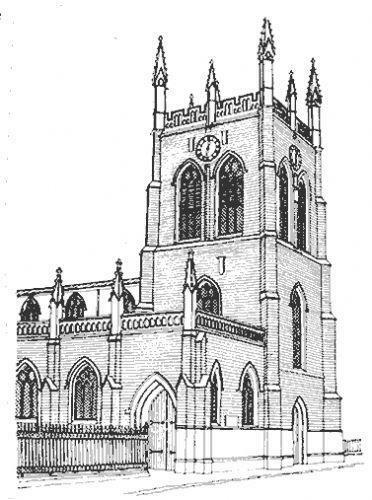 Rickman, also designer of the remarkable Church of St. George, Everton, was a scholarly architect, whose published work had a very important influence on the great nineteenth century Gothic revival. 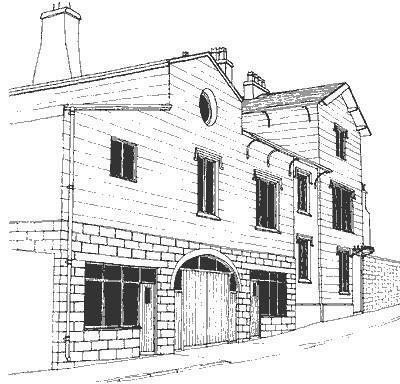 The Conservation Area also includes a variety of attractive detached, semi-detached and terraced properties and a modern Training College. St. Michael's Hamlet Conservation Area was designated on 12th December 1968. The houses built by Cragg are stuccoed and are designed in a semi-Tudor style, but windows, door frames, fireplaces, and other features are of cast iron. Spacious gardens, mature planting and narrow roads give the area a peaceful and secluded character. 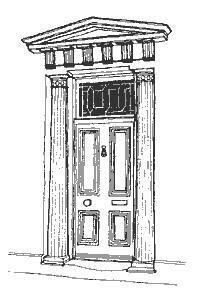 Below: Front door of No.4 St. Michael's Road sporting a fluted Doric porch. Below: No. 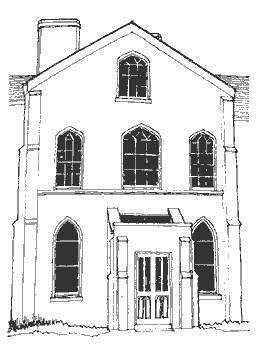 22 Southwood Road is a large eccentric Gothic style villa now used as the Norwegian Fishermen's Church. All windows have pointed arched heads, and most retain Gothic iron glazing bars. Below: Hollybank, the large house with its stables and coach house stretching along St. Michael's Road, and garden adjoining the church-yard, was John Cragg's own house. The garden entrance is marked by elaborate Gothic gate piers with open decorated tracery. Also of iron is a canopy with cresting over the side entrance to the house. Below: The Hermitage is set back from the road. 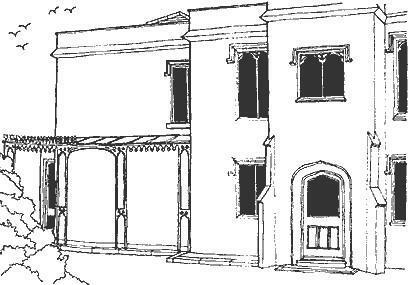 Ironwork details include an attractive delicate verandah, with cresting where it reaches the garden front.